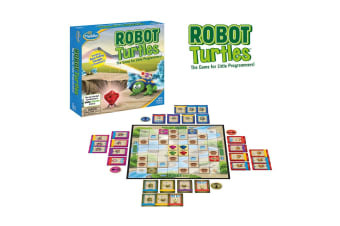 Robot turtles will teach your children the fundamentals of programming as they have a blast making funny turtle noises! Introducing the first ever board game for little programmers! Simple to learn and fun to play, this innovative game sneakily introduces children as young as 3 to the principles of programming, giving them the head start they need for 21st Century thinking skills. It’s simple! Just get your Turtle to the matching colour jewel by using code cards.